Theo, a seven year old female lynx, pregnant with two cubs, was killed by a motor vehicle on 13 March on a road between Algodonera and Laguna de San Lázaro, within the Doñana protected area. This incident follows a number of similar lynx deaths in the area in recent years, including just six months ago when a lynx was runover on the busy Almonte - Matalascañas road alongside the National Park. Moreover, Theo was killed on an agricultural road that had been recently re-surfaced and upgraded to allow traffic to drive much more quickly. The Iberian Lynx population in Doñana is one of only two confirmed breeding populations, and is precariously small, with less than 50 individuals. Moreover, the population is threatened by road traffic as well as: habitat loss to intensive agriculture; low rabbit densities; a 2007 outbreak of Feline Leukemia Virus, and; illegal hunting practices. Indeed, an autopsy conducted on Theo's body showed that she had been shot and injured prior to being killed by a vehicle - highlighting the multiple threats that face the Iberian Lynx in Doñana. 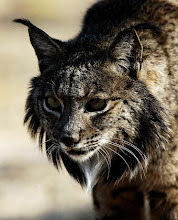 Conservation projects by a number of administrations and NGOs have focused on both Doñana and the Sierra Morena, benefiting both of the Iberian Lynx populations. These projects have included rabbit recovery work, traffic calming, habitat recovery and hunting surveillance. 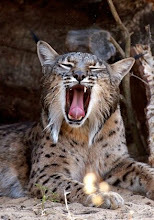 However, a lot more work is needed, particularly in Doñana where the lynx population continues to be threatened by inappropriate development and conflicting attitudes. Lynx continue to be trapped and shot in Doñana despite the species being legally protected for 30 years. Similarly, intensive agricultural and road developments have occurred right up to, and even within, the Doñana National Park, even though it is classified as a UNESCO World Heritage Site.